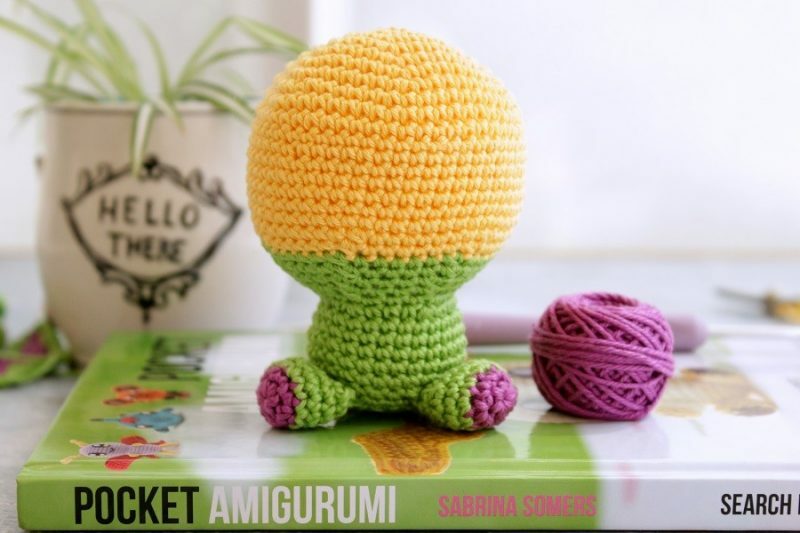 Amigurumi what is it? I hear you ask, most people do when I tell them it is something I enjoy creating. 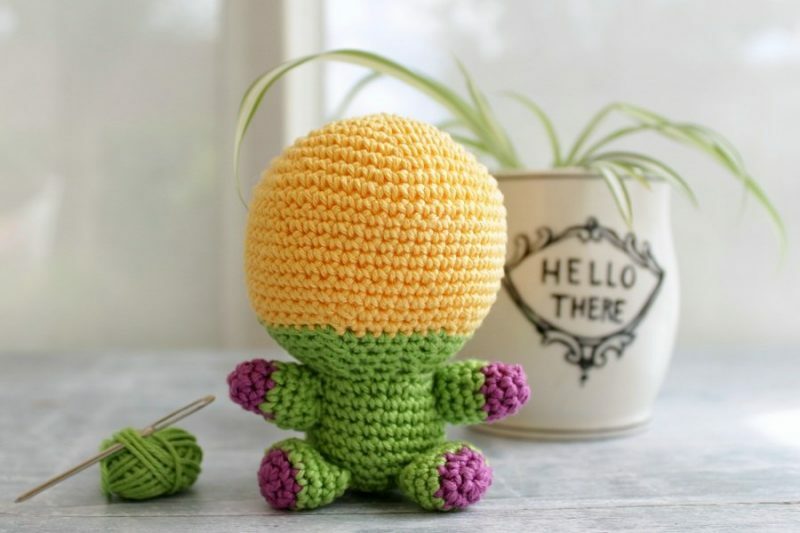 Definition: A crocheted or knitted stuffed toy.It is the Japanese art of knitting or crocheting small, stuffed yarn creatures. The word is a portmanteau of the Japanese words ami, meaning crocheted or knitted, and nuigurumi,meaning stuffed doll or creature. 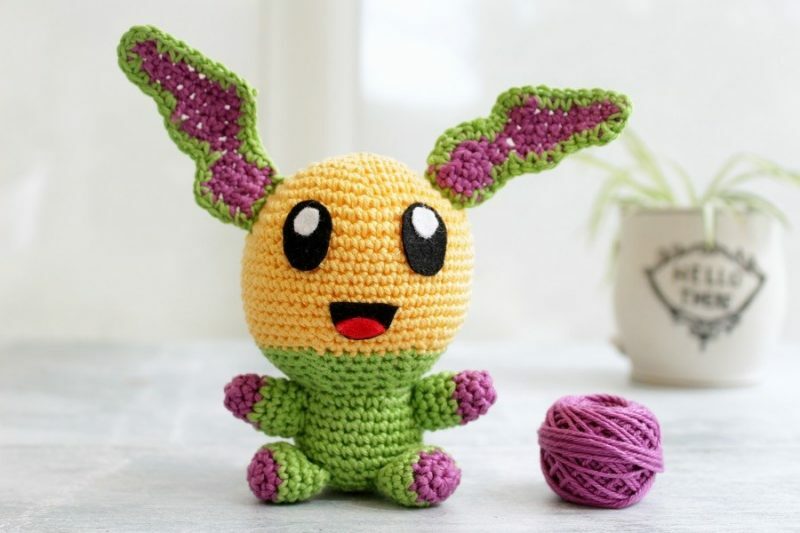 It can be knitted although the dolls or creatures are usually crocheted using a basic stitch like double crochet aka single crochet in the US. They are crocheted using a small hook size 2.5 mm this makes for a dense stitch/gauge so the stuffing doesn’t show through. Cotton is the most common form of yarn used. You can use any form of toy stuffing and even little plastic pellets can be used to weight the ‘bottoms’ so they dont topple over. 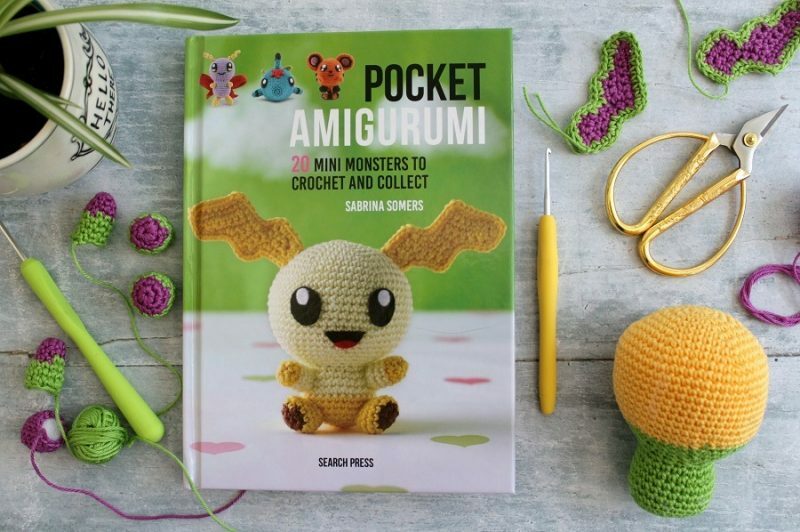 I love receiving new crochet books and this one will not disappoint you if you are an ‘Ami’ monster fan. 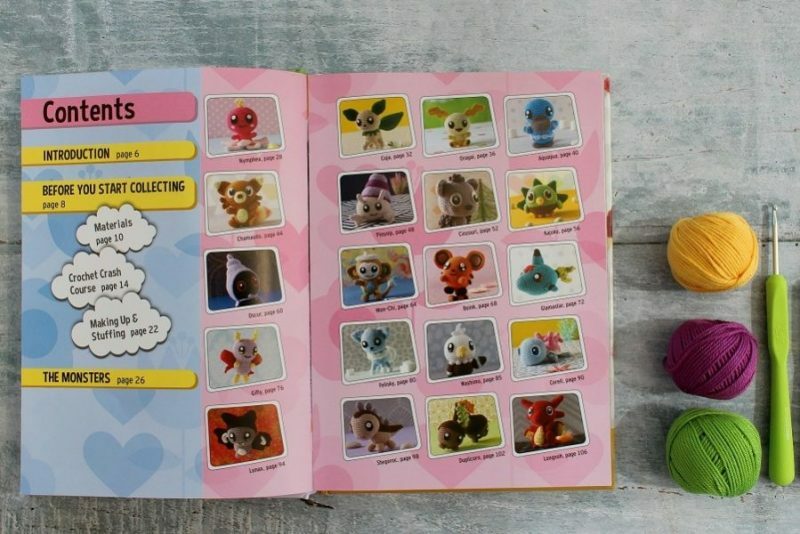 A compact hard back book containing hints and tips plus 20 patterns for the cutest little critters you ever did see. The tiny monster like creatures are similar to the Japanese Manga designs but in plushie form. Even the author’s name is fitting it sounds like a fairy’s name, gosh Sabrina I wish I had a name like yours! Concise instructions and exact info on where to sew on the tiny pieces at the construction stage. I think this is very important with this type of crochet, or the character does not come through. 112 pages of fun, clear and concise photography as well as a crash course with illustrations on the stitches used, mainly dc/sc. As you can see I made the creature on the cover, because I of his ears, his name is Oragai…so what do you think? My second ever post on Lazy daisy Jones featured one little pic of my latest ami critters and a few lines. That was 5 years ago! 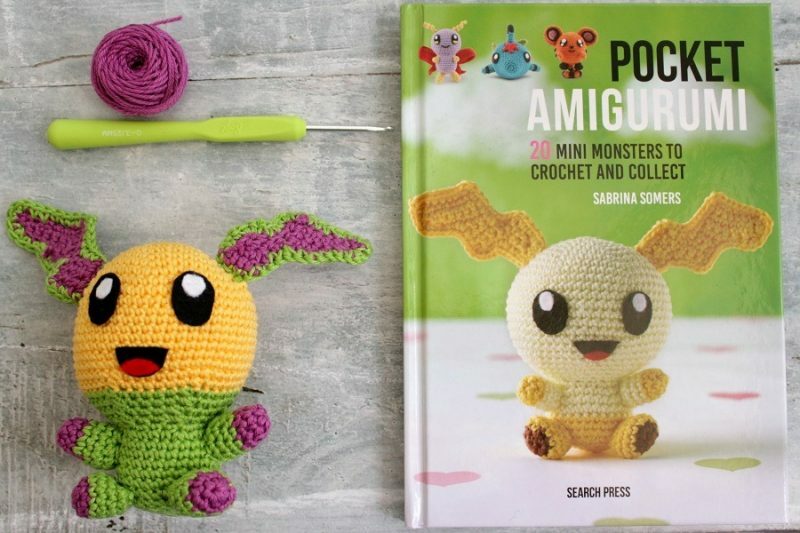 I have many amigurumi books, you could easily make up your own creatures once you know the basics, I hardly ever follow a pattern and the resulting creature usually depends on the amount of yarn I have left and my mood! This might be an obvious one to you but I thought I should mention it? The size of the hook and yarn depends on the finished size of your creature. 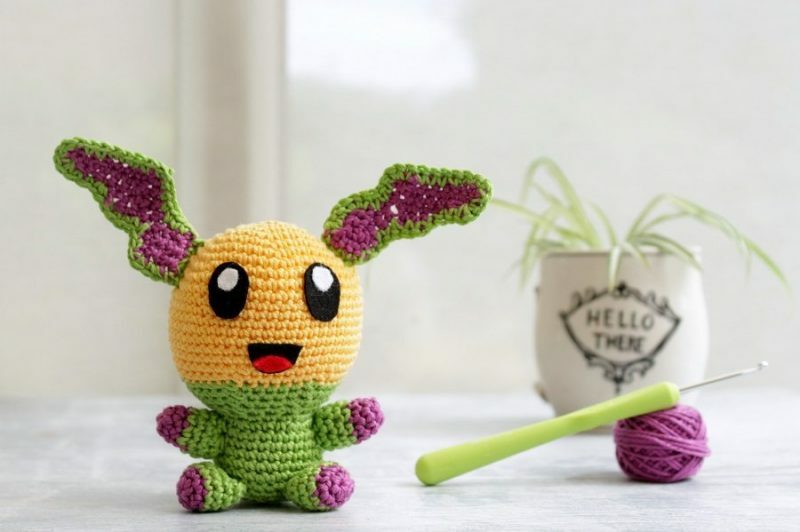 Therefore, if you chose to use a chunky yarn and a size 5 hook but follow the pattern exactly you creature will end up with a much bigger creature than the one in the pattern that uses a 2mm hook. I actually love the large creatures as they are not too fiddly to make up. I supersized a slug in January it made for a superb draft excluder! 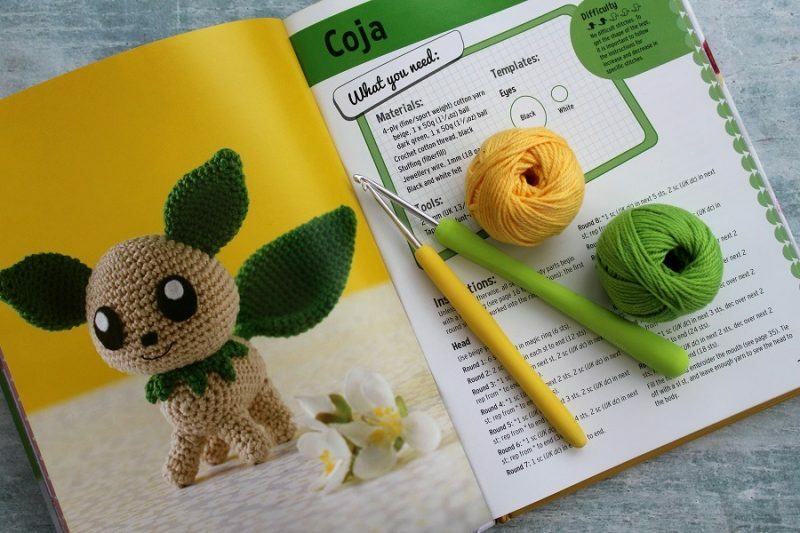 The book is published by Searchpress, as are most of my fave crochet books. I am planning on buying books for all my crafty friends this christmas (shhh) how about you? Previous Post Interior Greenery in our home, it’s a Jungle! Next Post Cropped Jeans how to style them 3 ways. I might have to have a go at this. I bet it’s a great stress reliever! Once you’ve worked out how to do it of course!